"ERP upgrades is a necessary evil of technological innovation", this is something any ERP-using company, be it large, medium or small will agree. ERP upgrades are like 'Diamonds on a landmine'. While on one hand upgrades provide a whole gamut of benefits like improved productivity, access to new functionality, better streamlining, shorter process cycles, reduced costs and higher efficiency, on-the-other-hand they are also seen as gruelling, costly and risky time-sinks. The risk associated with upgrades increases if there have been customizations to the existing ERP. So, a company using customized ERP has to really think through an upgrade as it has the additional baggage of re-customization. Interestingly most companies do opt for customization. The 2013 ERP Report 1, shows that ninety-percent of ERP systems do have some degree of customization. The chart below shows the level of ERP customization adopted by companies. The statistics in the above chart indicate that customizations are imperative, as no ERP can tailor-fit into any organization's needs. Here again organizations may opt for configuration or modification of existing ERP. The crux of the difference is complexity. Configuration uses the in-built tool sets of the enterprise software to make changes - such as add additional fields or change field names. While customization involves code changes to create functionality that is not available through configuration. Customization therefore requires additional budget, time, resources and is moreover risky, as one is trying to tweak a proven and tested monolithic product. Even if companies follow a best-of-breeds approach instead of a single legacy system they do require some degree of customization to make things work. Apart from being costly and risky, customizations complicate future upgrades to the software because the code changes may not easily migrate to the newer version. This is one of the primary reasons why companies often find themselves at cross-roads deciding whether to upgrade or not. This discussion becomes a favourite board-room topic, because ERP is that one critical asset of the company that affects all aspects of business - people, product, process and price. Any change in the ERP therefore challenges every aspect of the company. Challenges while upgrading an ERP system are manifold and range from technological complexities to human related issues - such as resistance to change, organizational culture to name a few. There are budgetary issues, especially the inability to accurately estimate the cost and effort required, and the difficulty in justifying the project budget. Operational challenges too are aplenty which includes the inability to evaluate the impact on an existing solution and also of effectively testing the system. The situation becomes more knotty when you need to upgrade a customized ERP system. In this situation, organizations are required to ensure that multiple customizations and changes made throughout the years will operate properly with the new version. All these challenges have an underlying effect on business. If errors are not identified and rectified in time they may result in considerable system downtime and may disrupt business processes. Undetected errors may also result in regulatory compliance violations, security breaches, and other operational risks. In order to avoid these perils, organizations need to perform comprehensive tests before going live with the upgraded software. This typically turns into a tedious cycle of testing, identifying problems, fixing them, and repeating the process until it is error-free. Needless to add this cycle takes a huge toll on an organization's budget, time and human capital resources. At this juncture while organizations decide to 'bite the bullet' and opt for ERP upgrades what they really crave for is that silver bullet which can salvage them. And here's where CloudIO fits the bill perfectly. CloudIO is an enabler of quick, configurable and deployable automated software-as-a-service (SaaS)-based solutions for managing change processes in Legacy ERP systems. 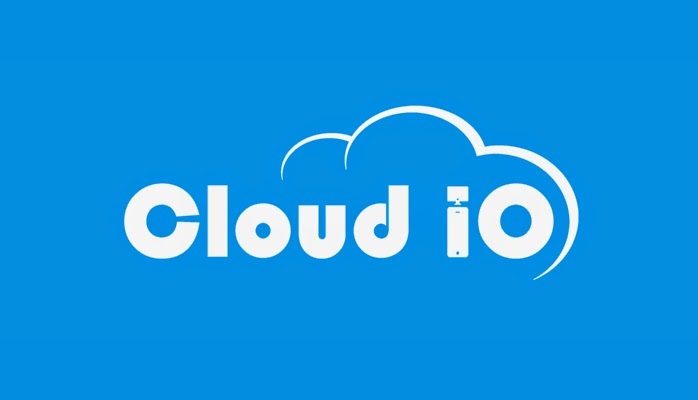 CloudIO's modern open platform, leverages native Enterprise System APIs, web services and interfaces to build efficient user interfaces. Best of all, CloudIO does not impact any organization's ability to upgrade to the most current release, allowing you to extend your investment and achieve a vastly improved return on your investment. 1 Eric Kimberling, The Long Term Effects of Heavy ERP Customization, June 5 2013, Panorama Consulting Solutions.